GROM Audio Accessories. GROM Audio. Honda FRV 04-12. We are the UK distributor for GROM Audio. Honda CRV 04-12. Honda (recent) - USB iPhone Android Integration kit. Android Integration. iPod®/iPhone® Integration. REMOVED FROM HONDA CIVIC MK8 2.2 CDTI 2007 DIESEL. -All the parts are from UK which are RHD vehicles, we can not promise that the parts will fit LHD vehicle. Honda Civic Mark8 car cd changer / player 1.4 i 1399 cc L13A7 6 Speed Manual FK17 7U000001-7U999999 23/04/2007 to 01/12/2011 Petrol 8 Valve i-Dsi SE Mark8 v164-19240. UK: AB31, AB33 -> AB38, AB44 -> AB45, AB51 -> AB56, FK18 -> FK21, G84, HS1 -> HS9, IV1 -> IV36, IV40, IV52 -> IV54, IV63, KA27 KA28, KW1 ->KW14, KW15 -> KW17, PA20 -> PA40, PA41 -> PA49, PA60 ->: PA78, PH19 -> PH41, PH42, PH43 -> PH50, TR21 -> TR25, ZE1 -> ZE3, Isle of Wight, Northern Ireland and all Isles off mainland UK. GROM Audio Accessories. GROM Audio. We are the UK distributor for GROM Audio. Note: There are 3 Honda cables which relate to the age of the vehicle, "HON1M" for recent models, "MBUS" for older models and "HON92" for 1992-1998 with a round din port. 2002 HONDA JAZZ 1.4i-DSI S 5DR CD CHANGER. 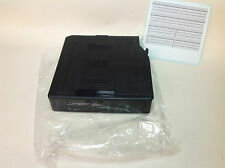 HONDA CIVIC MK8 06-11 RADIO CD PLAYER HEAD UNIT 39100-SMG-E014-M1:CQ-MH5570LC:17105231 EXCEL-735930. UK: AB31, AB33 -> AB38, AB44 -> AB45, AB51 -> AB56, FK18 -> FK21, G84, HS1 -> HS9, IV1 -> IV36, IV40, IV52 -> IV54, IV63, KA27 KA28, KW1 ->KW14, KW15 -> KW17, PA20 -> PA40, PA41 -> PA49, PA60 ->: PA78, PH19 -> PH41, PH42, PH43 -> PH50, TR21 -> TR25, ZE1 -> ZE3, Isle of Wight, Northern Ireland and all Isles off mainland UK. Honda civic Mark8 car cd changer / player 2.2 2204 cc 6 Speed Manual FK37 01/01/2006 to 01/12/2011 diesel 16 Valve i-CTDi ES 5dr Mark VIII 7U000001-7U999999 V69-19242. UK: AB31, AB33 -> AB38, AB44 -> AB45, AB51 -> AB56, FK18 -> FK21, G84, HS1 -> HS9, IV1 -> IV36, IV40, IV52 -> IV54, IV63, KA27 KA28, KW1 ->KW14, KW15 -> KW17, PA20 -> PA40, PA41 -> PA49, PA60 ->: PA78, PH19 -> PH41, PH42, PH43 -> PH50, TR21 -> TR25, ZE1 -> ZE3, Isle of Wight, Northern Ireland and all Isles off mainland UK. Connecting USB / AUX / SD audio sources. Interfaces AUX,Slot SD(HC),USB. SD / SDHC cardup to 32GB. NSX from 03. Supports MP3 and WMA files. the adapter is simply plugged in the CD changer jack on the radio back. Civic EP / FK / FN (7th / 8th generation). USB, SD & Aux Music Adapter for Honda. Perfect connection of USB flash drive,SD card to the radio. Interface also covers installlable - eg behind the glove box, USB port with optional USB built-in socket extendable. 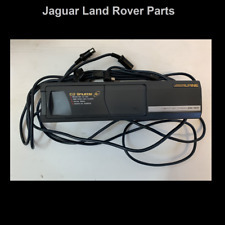 The installation is easy, because the adapter is simply connected to the CD changer jack on. AUX input for 3.5mm. 1x 3.5mm AUX AUX cable. • AUX input for 3.5mm. Supports MP3 and WMA files. 1x USB Interface Box. GROM Audio Accessories. GROM Audio. Honda HRV 02-06. We are the UK distributor for GROM Audio. Honda CRV 04-12. Honda S2000 04-12. Honda (recent) - USB iPhone Android Integration kit. Honda Civic 06-12. GROM Audio Accessories. GROM Audio. Honda HRV 02-06. We are the UK distributor for GROM Audio. 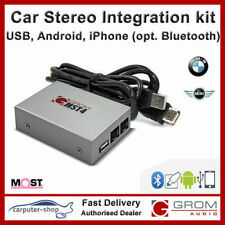 Honda (recent) - USB iPhone Android Integration kit. Honda Civic 06-12. USB streaming for select Android devices (Jelly Bean and up) is available without DashLinQ. Even if the radio models listed below no changer is installed, the changer input is present. Port on the CD changer jack on the radio back via Plug & Play cable kit. Honda with white CD changer connection. Even if no changer is installed, the changer input is present. the adapter is simply plugged in the CD changer jack on the radio back. Connecting USB / AUX / SD audio sources. NEW: more compact design: the smallest box available on the market.